About a year ago I shared a tutorial on how to put vinyl on canvas. 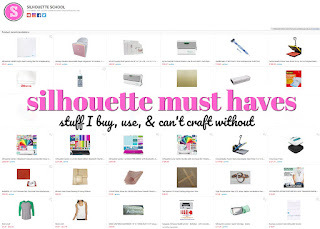 Today I'm going to show you an even easier method - that swaps out adhesive vinyl for heat transfer vinyl on canvas. 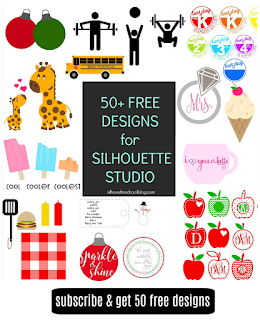 Start by creating your design in Silhouette Studio. I decided to use silhouettes of my kiddos. 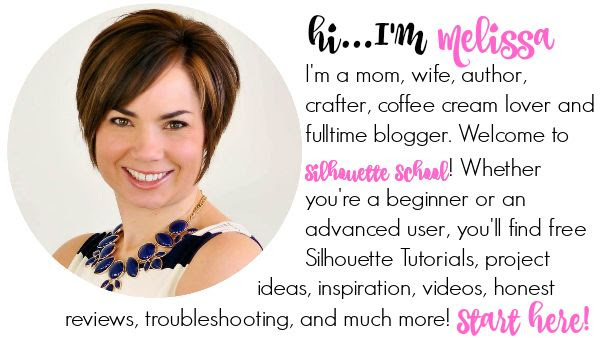 I explained, in detail, in this tutorial how to turn photos into silhouette cut files. Head (no pun intended) on over there and check that out if you'd like to do a similar design. Be sure to size your design so it will fit on your stretched canvas. Mirror the image(s) and then adjust the cut settings. Cut and weed the heat transfer vinyl. Now grab your canvas. 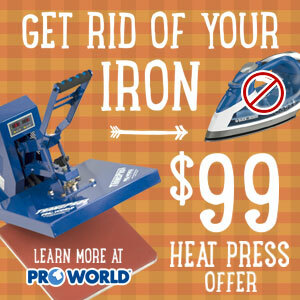 You're going to need your heat press and/or your iron warmed up. I actually ended up using both and I'll explain why in a second. My heat press has a 15x15" plate. The canvas I used was 24x18 so it fit perfectly on the plate and allowed the top plate to close down. If you have a heat press and the canvas is too small for the wood frame to fit over the plate, I would recommend using your iron instead. First lets talk about the heat press method: Place the heat transfer vinyl design onto the canvas in the position where you want it to be placed. Move the canvas onto the heat press and cover with a teflon or thin cotton sheet. Bring down the top plate and wait 20 seconds. Open up the top plate and if you were not able to press the entire design in one press, move the canvas and the teflon sheet to press the second half. At this point 95% of my design was pressed onto the canvas. However, a little tiny bit of each of the silhouettes near the edge did not get pressed. That's because they are on an area covered by the wood frame. You can try to put this part on the press, but the top won't close. So I'm going to finish pressing the design with the iron. If you don't have a heat press and are pressing the entire design with an iron pick up the tutorial here. Working on a hard surface, like the floor or a table, grab a stack of printer paper or books - look for anything that is about the same height as the canvas. Place your stack under the canvas so that even where there is no wood frame, the stretched canvas now has a hard backing. Lay a piece of teflon or a thin cotton sheet over the htv and place the hot iron on the sheet. Hold it still but with a lot of pressure for about 30 seconds. Now, since I already pressed most of my design on with the heat press I'm just working on the two edge areas, with the iron, that didn't get pressed. If you're pressing the entire design with an iron, work in iron-size areas applying heat and pressure for about 30 seconds in each area. This is why it's important to have something stiff under the canvas - otherwise you would not be able to apply much pressure because the majority of the stretched canvas has no support. 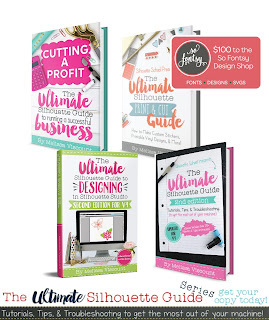 Once the entire design is pressed onto the canvas, peel off the clear plastic backing. The HTV should be firmly in place and hopefully even melted into the canvas. 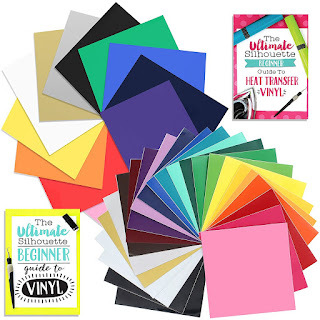 Now you're ready to display your heat transfer vinyl on canvas! 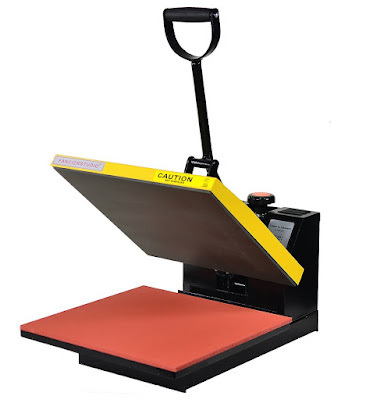 Would you mind sharing what brand of heat press you have? Great tutorial! Good to know this works with HTV. I was just doing Google search for this, but using printable heat transfer paper. Do you think that would work? Can this be done to painted canvas? Melissa, Have you tried painting the background of the canvas before or after pressing the HTV. I've been doing HTV on the flat canvas panels and LOVE the method, but want to try a new look by having some color in the background. I kind of hate 651/stencil vinyl and paint on canvas though. Maegan,what burnt the paint? or the vinyl? 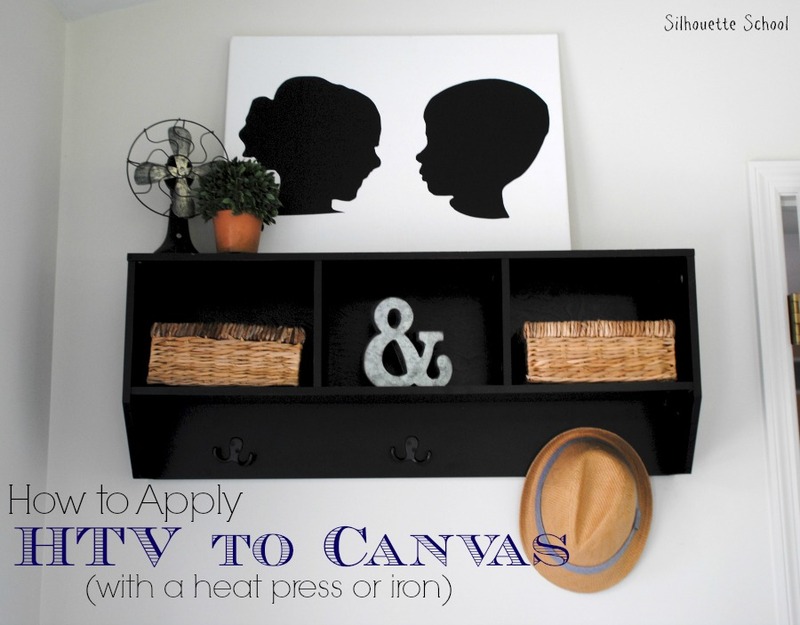 I am interested in also trying to apply HTV to a painted canvas. Just wondering what others have tried.